My top somehow turned out looking a merky white colour when infact it's a light minty colour? Not quite sure whats going on with my saturation filter (ohh err check her out with the fancy camera talk!). So yes, I wore a mint green t-shirt from NewLook, which was bought ages ago but I'm pretty sure can still be purchased or something similar as it was a basic piece. I then thought I'd be a little daring and show my balcony bra underneath rather than covering up with another top as a balcony bra is pretty much a bandeau.. right? 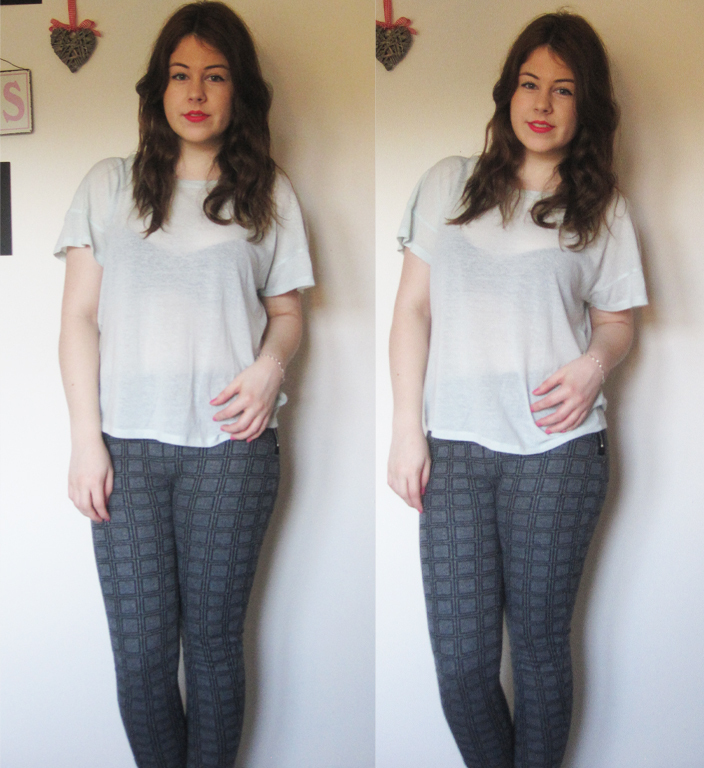 I also paired up my grey almost checkered effect leggings from Topshop, which I've featured so many times on my blog they're no stranger. 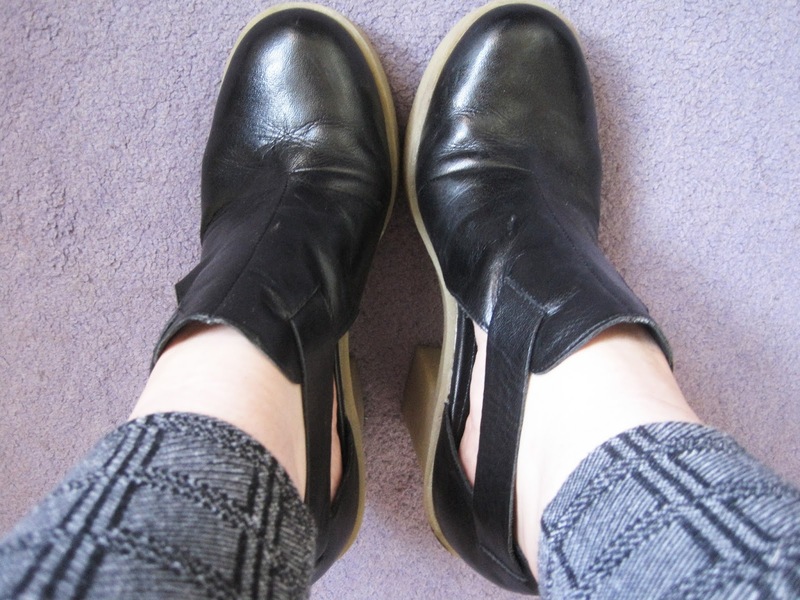 They're super easy to pair up with any outfit and I love the fact they have cut out ankle bits! They're adorable with frilly socks! Finally some pick lipstick for a dash of colour and also looking super Summery! Mmm hot weather..